A personal approach is what distinguishes us from other firms. Our joint firms have enjoyed a history bridging the last 150 years, and we pride ourselves on our commitment to developing strong client relationships. The housing market is constantly changing and the Scottish Borders region is unique. Local knowledge and experience is vital in an area such as this where there can be fairly dramatic differences in property values and sales trends within a relatively small radius. For this reason we feel it’s important that our clients are able to utilise the services of a firm who have up-to-date local market awareness, offering a service that is knowledgeable and straightforward. Pike & Chapman and Douglas Gilmour & Son offer a wide range of services for all your property requirements providing an easy to understand service designed to make the legal process of any transaction as stress free as possible. As members of both the Borders (BSPC) Solicitors’ Property Centre and Edinburgh (ESPC) Solicitors’ Property Centre, we can provide clients a cost effective means of advertising their properties for sale. As both Solicitors and Estate Agents, we combine legal and marketing expertise to deliver a fully comprehensive service, enabling us to carry out the entire sale process on behalf of our clients. Arrange viewings of your property at times convenient to you. We offer an accompanied viewing service should you need it. When offers are received, we will discuss these with you, and taking into account marketing conditions, advise whether to accept an offer or to set a closing date. 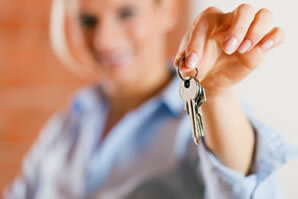 Manage the transfer of ownership of your home to the buyer. Negotiate the contract (missives) with the buyer’s solicitor, resolving any outstanding issues, such as which items are to be included in the sale, the price or the date of entry. Contact your current Mortgage lender (if any) to inform them of the sale and obtain the title deeds to your home. We will obtain from your lender a statement showing the amount required to repay (redeem) your mortgage on the agreed entry date. Obtain the various reports and ‘searches’ a buyer will require to see before paying the price. Pay off your present mortgage loan and account to you for the balance of the price. Keep you up to date with progress throughout.